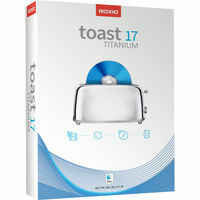 Toast is the best way to save, share and enjoy a lifetime of digital music, movies and photos on CD and DVD. Burn large files across multiple discs. Compress and copy DVD movies. Add over 50 hours of music to an audio DVD – with on-screen TV menus, shuffle play, and rich Dolby Digital sound.